Happy 10th anniversary, World of Warcraft! Happy 20th anniversary Warcraft! Today seems like a good day to reflect a little. 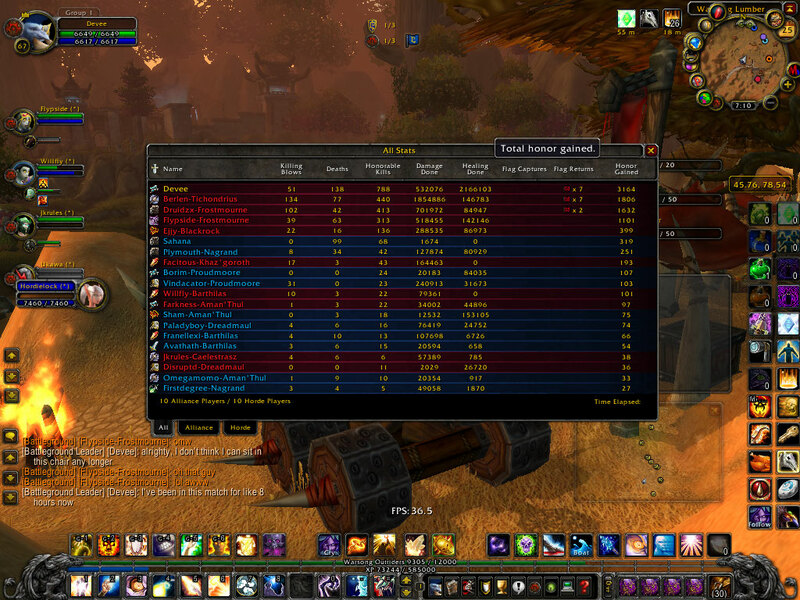 That’s Petros in the screenshot, my Night Elf warrior of S A D on Uther. He was my very first character. You can see that the guild is pretty dead; that’s fine, because I don’t know who anyone is. I think I joined because my high level friend was in it. I started playing WoW as soon as it was released and made this character to play with my roommate at the time, Antonio. Everyone out leveled me very quickly because I took things slow. I always ended up switching characters quite a bit. Before hitting 20 or so I switched to a tauren hunter to try it. I ended up liking Horde more. I then switched to a PVP server and made an orc hunter. Along the way, there were a few mages and priests that never hit 10. Eventually I tried my original character again, getting him to 23, before switching to my current server, Kil’jaeden. I started with a tauren shaman who got to his 30s and then made my current priest. My plan was to heal with Mooglegem until she caught up to my level and then switch back to my shaman. That switch back never happened. Warcraft itself always reminds me of my friend Lloyd from elementary school because we used to talk about it a lot. Honestly, I’m not sure I ever actually finished one of the games. I mostly screwed around in multiplayer, but I was terrible anyways. Regardless, I knew the general plot. I don’t think the first two are really playable anymore, but the third one holds up. I should go back and play it. 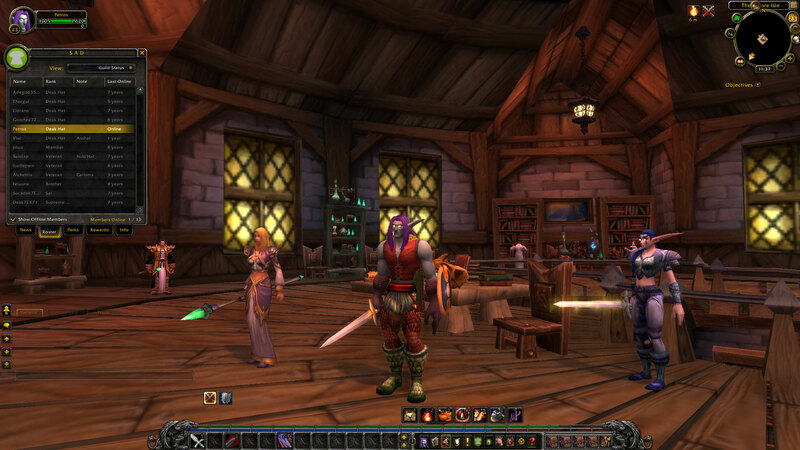 World of Warcraft gave me a lot of great memories. It seems like such a different game now – not just because of the mechanical changes but because of the mindset. Once you see the game through to max level, it changes your perspective. I remember being so amazed at the size of the game. When I finally got my Night Elf all the way to Ironforge, I had a dilemma. Do I set my hearth there, giving up the quest lines I was doing, or do I hearth back home and give up the long trek to reach the city that was so full of people I had to use my roommate’s computer so I wouldn’t crash? I wrote an article for WoW Insider on this subject. I ran dungeons with a group of friends I knew in real life. I remember Antonio yelling at me not to attack things that weren’t aggressive. I wanted their skin. I finally hit the level cap for the first time in Wrath of the Lich King. I made sure to plan it so I could ding by turning in a quest to Thrall. I joined a terrible guild to raid because they did a lot of old raids just for fun. They didn’t raid the current tier at all, but there was no stress of an application process. I got over that quickly. Once there was a bug and the flag despawned completely from Warsong Gulch. I played in this one match, with breaks for dinner, for over eight hours. Moogle made delicious cookies for everyone participating in our guild’s Secret Santa. Bulleto, Mooglegem’s tauren hunter, made me a mechanohog. I tried it and killed the both of us almost immediately. I was so excited when we finally killed Arthas after weeks of failing. 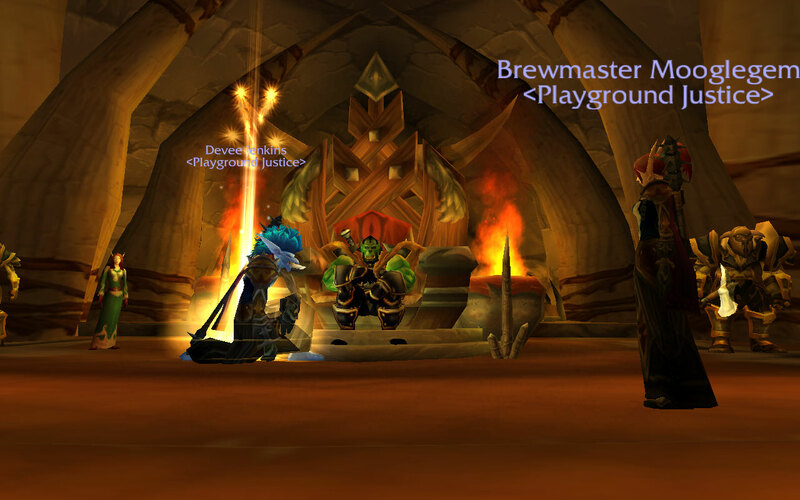 The quest line to get Quel’delar was one of my absolute favorite memories. I did it with Mooglegem, and we had a blast. I can’t use swords, so I received the Hammer of Purified Flame. I still have it, and it’s a popular transmog choice. I’ve had a ton of wonderful memories in World of Warcraft, and I’m sure there are many more to come.